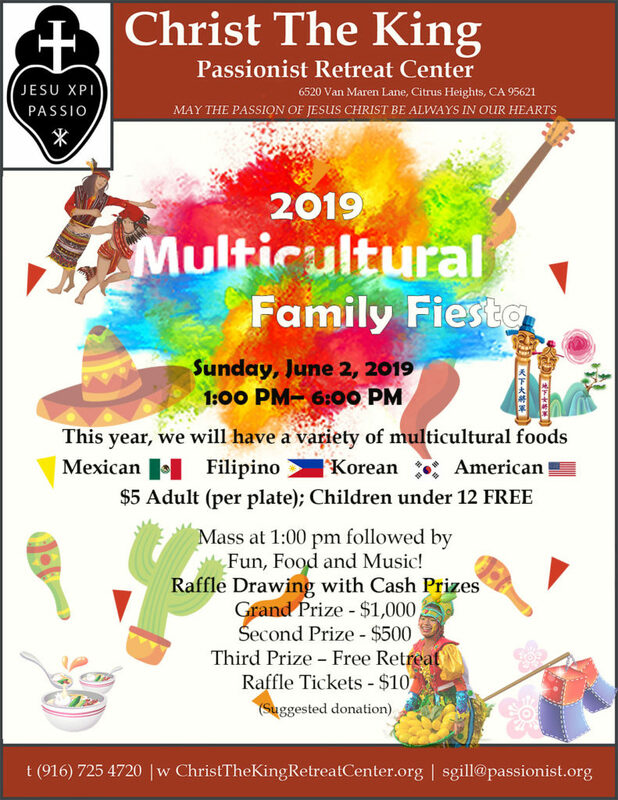 Family Fiesta 2019 will be held on Sunday, June 2 from 1:00 pm-6:00 pm. This year we will have a variety of delicious multicultural foods; Mexican, Filipino, Korean, and American for you to choose from along with selection of beverages at nominal prices. The afternoon will begin at 1:00 pm with a Eucharistic Celebration in the Quinn room. Come join us for an afternoon of food, fun, and community. Thank you for supporting Christ the King! May the passion of Jesus Christ be in our hearts!